A feature in either a fixed or adjustable rate mortgage, no documentation loans offer a streamlined application process that requires fewer documents. Although the lender may not need such documentation as direct verification of employment, you’re judged largely on credit history, which must be excellent, and the size of your down payment, which could be large. This loan may carry a higher than average interest rate. Many self-employed people choose this option, especially if they can’t verify a steady income. 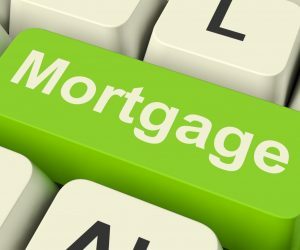 Some lenders offer the option to make mortgage payment every two weeks rather than just once a month. This adds up to twenty-six payments (which actually makes thirteen monthly payments) over a one year period, as opposed to twelve. You save a lot in interest over the life of the loan and build up equity faster. You will need to be able to cover the faster cash flow to afford this type of loan. A fixed rate loan with a rapid payoff schedule, the growing equity mortgage is an inexpensive loan that requires your income to be able to handle flexible payments. Your payments will increase by a predetermined percentage, and the extra amount of each payment will be applied toward the principal portion of the loan. The interest rate of a two-step mortgage adjusts only once, maybe five or seven years into the mortgage, then fixes at the market rate for the remaining term. Aimed at buyers who need lower monthly payments, the lender basically fronts you some money to make your loan payments and gradually raises the loan amount to cover the additional loans. So over time you actually have less equity in your home as you make payments instead of increasing equity. This loan allows you to buy a house you could not otherwise afford. This mortgage may be attractive to buyers who expect to stay in their homes for only a short time. Payments are low and interest rates may be low because they’re based on athe thirty-year term. The full loan balance, however, is due before thirty years, typically in five or ten years. At that point you must make a balloon payment by paying off the loan or refinance your mortgage. Balloon loans may be extendable. This means they have an extension feature that lets the lender make one adjustment to the initial rate for the balance of the years on the loan. Some also have feature that requires you to requalify if interest rates go up significantly before the rate adjusts. If you don’t qualify, you will be forced to repay the loan immediately. The interest rate and payments start artificially low in graduated payment mortgage, so the loan is more affordable. Sometimes only part of the interest is paid and the remainder is added to the outstanding balance. This is know as negative amortization. This type of mortgage may also be obtained through a buy-down in which you pay points up front in exchange for the lower initial interest rate.